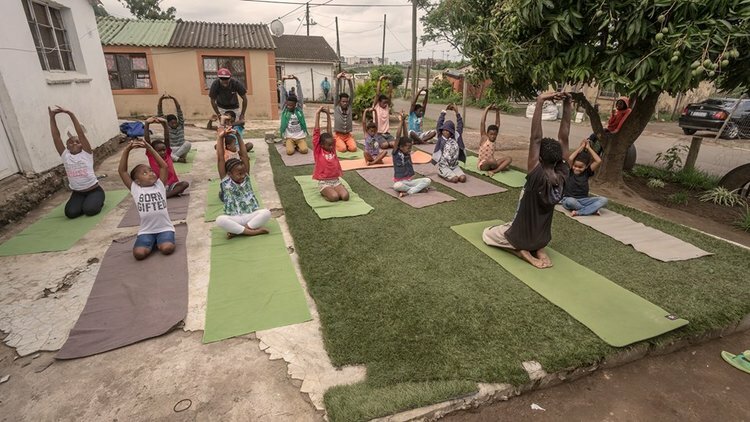 Township Yogi Project is a non-profit organisation that sets up grassroots yoga studios in townships in South Africa, with the assistance of qualified yoga teachers. The aim of the project is to help empower those living in townships riddled with crime, violence, drug abuse and unemployment, and where many of the population are suffering from HIV and Aids. Research has shown that the practice of yoga helps boost immune system activity, reduces stress, improves muscle tone, combats wasting and slows the progression of HIV/Aids and helps TB sufferers recover quicker. 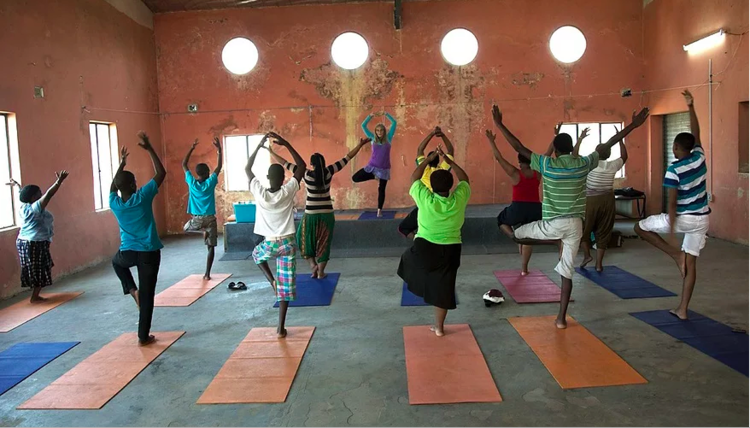 In addition to offering free yoga classes, township inhabitants are selected to participate in yoga teacher training courses, offering them skills and a chance at employment. They undergo the standard 200-hour Yoga Teaching Training course, and qualify as accredited yoga teachers. Some of our township yoga teachers have been blessed by being sponsored by Jim Harrington to go on and do their 500-hour teaching course, with one of their modules taking place in India. For most of our township teachers, being able to qualify as yoga teachers, and being given the chance to teach yoga and earn an income from doing something valuable for their communities, it's like being given a second chance at life. 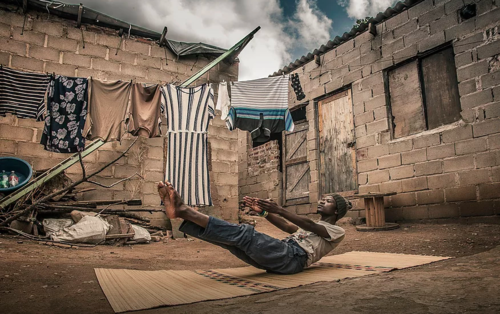 The Township Yogi Project relies heavily on volunteer yoga teachers in South Africa who would like to participate in the Township Yogi Project and go into the townships to teach classes. We are also looking for teachers who may be interested in helping set up classes in new areas, and who are prepared to take on more of an active and/or administrative role in running new classes, both in South Africa and Namibia. Because the Township Yogi Project relies solely on donations, we are desperately in need of volunteer fund raisers who can come up with fund-raising ideas to help fund the project into the future. Please contact us to find out more about how you can become an ambassador for the Township Yogi Project, and help raise much-needed funds to support the project and grow it.